Smart Vehicles make it easy and exciting to get you where you’re going. From eco-friendly city scooters to neighborhood cruisers, electric-powered scooters, electric skateboards and hoverboards are the perfect way to put some zip in your ride. Step up, twist the throttle and charge into tons of fun! Daibot offers you a personal and fun transportation. 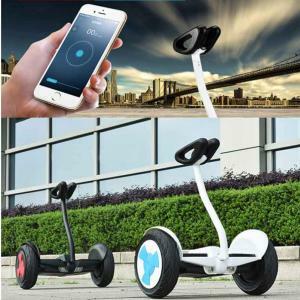 It’s a self balancing scooter with a max speed of 30km/h and it is able to reach a maximum range of 35km. 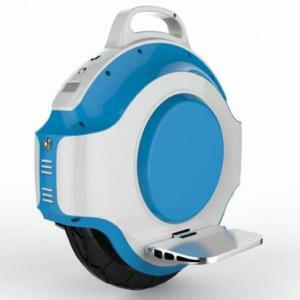 This unicycle would definitely get you to your destination faster during traffic jam. 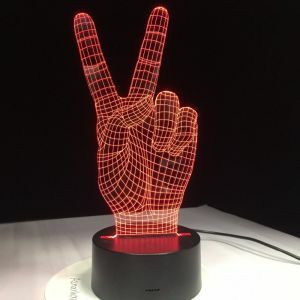 The futuristic design (thanks to its LED Light) would make all eyes turn on you while you are saying goodbye to the crowds. Charging the 320Wh high-capacity battery requires about 4 hours and it’ll give you a max range of 35km. 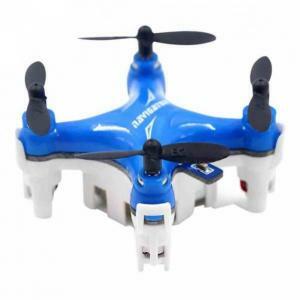 Daibot features climbing level of 20-degree and you can cruise around the city in pleasure. Please remember that this personal transportation can only support a maximum payload of 110kg. €287.62 Tax exc. €215.72 Tax exc. Featured with manual power, electric power and electric moped power mode, this electric bicycle can meet your different riding needs. A high-performance motor achieves a top speed of 20-25km/h with a range of 45km (for Deluxe version) meaning your E-Bike commute just got easier. 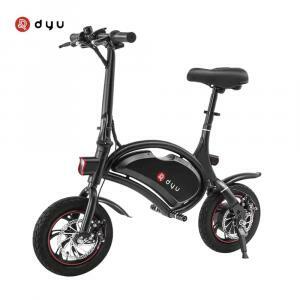 This E bike adopts 100 percent aluminum alloy frame, double layer aluminum and alloy wheel. The 36V & 4.4Ah LG cell Lithium-Ion battery easily assist you to ride up to 30km (18.6miles) /h by APP setting, quick charge and max mile range to 20km. 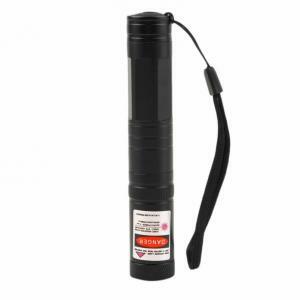 Collapsible front stem, portable, convenient, easy to storage anywhere. You can set the speed from 5-25 km/h, record trip mileage and time, lock the controller, turn off the front light and even lock bike by password. €550.00 – €650.00 Tax exc. €412.50 - €487.50 Tax exc. Featured with manual power, electric power and electric moped power mode, this electric bicycle can meet your different riding needs. A high-performance motor achieves a top speed of 20-25km/h with a range of 25km meaning your E-Bike commute just got easier. The 36V & 4.4Ah LG cell Lithium-Ion battery easily assist you to ride up to 25km/h, quick charge and max mile range to 25km. 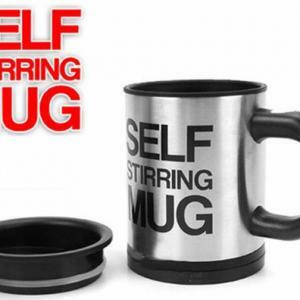 Collapsible front stem, portable, convenient, easy to storage anywhere. You can set the speed from 5-25 km/h, record trip mileage and time, lock the controller, turn off the front light and even lock bike by password. €570.00 Tax exc. €427.50 Tax exc. Featured with manual power, electric power and electric moped power mode, this electric bicycle can meet your different riding needs. A high-performance motor achieves a top speed of 20-25km/h with a range of 45km (for Plus version) meaning your E-Bike commute just got easier. 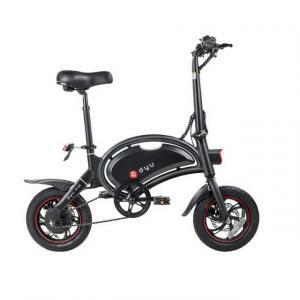 This E bike adopts 100 percent aluminum alloy frame, double layer aluminum and alloy wheel. The 36V & 5.2Ah (10.4AH for Plus Version) LG cell Lithium-Ion battery easily assist you to ride up to 25km /h by APP setting, quick charge and max mile range to 45km. 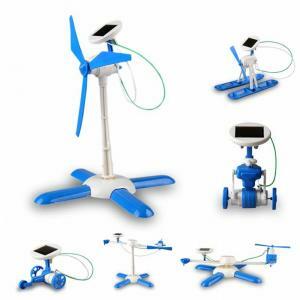 Collapsible front stem, portable, convenient, easy to storage anywhere. 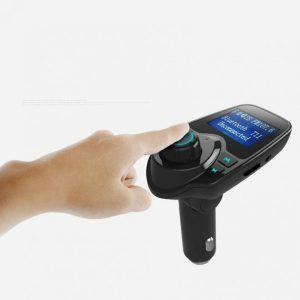 You can set the speed from 5-25 km/h, record trip mileage and time, lock the controller, turn off the front light and even lock bike by password. €670.00 – €700.00 Tax exc. €502.50 - €525.00 Tax exc. Featured with manual power, electric power and electric moped power mode, this electric bicycle can meet your different riding needs. 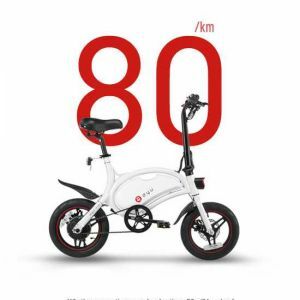 A high-performance motor achieves a top speed of 25km/h with a range of 80km meaning your E-Bike commute just got easier. 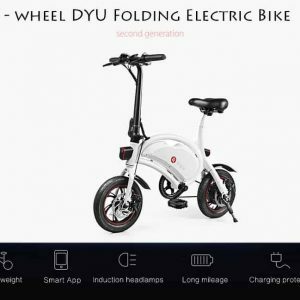 This E bike adopts 100 percent aluminum alloy frame, double layer aluminum and alloy wheel. The 36V & 5.2Ah LG cell Lithium-Ion battery easily assist you to ride up to 25km/h by APP setting, quick charge and max mile range to 50km. Collapsible front stem, portable, convenient, easy to storage anywhere. You can set the speed from 5-25 km/h, record trip mileage and time, lock the controller, turn off the front light and even lock bike by password. €700.00 Tax exc. €525.00 Tax exc. Rolling on this hoverboard will make you feel like you are in the future. Hoverboards are great for zipping down a street without taking up too much room, like to run errands or to go to work (if you live close). It’s better to transport, rather than a bike, because it’s small and lightweight. Suitable for boys, girls and adult. The kick scooter with higher performance in comfortable size. Two rounds wheels that is so stable. You can have a great fun when playing it. €202.00 Tax exc. €151.50 Tax exc. A two-wheel self balancing scooter is probably the most inexpensive type of self-balancing device at the moment. It is very easy to master the two-wheeled electric scooter since it only requires minimal balance in order to stay upright, they say it’s easy as riding a bike. To ride the self-balancing scooters, all you have to do is to stand on the footrests with your legs apart. The speed is controlled by the sensor pads which is located on the footrests. It will quickly notice when you lean backward or forward. By applying some more pressure on the outside wheel, you can make a turn. 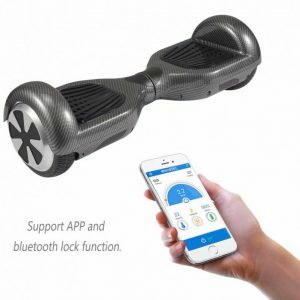 A self-balancing hoverboard is a unique form of transportation which can go anywhere in the city without any danger and with a lot of fun! €370.60 Tax exc. €277.95 Tax exc.